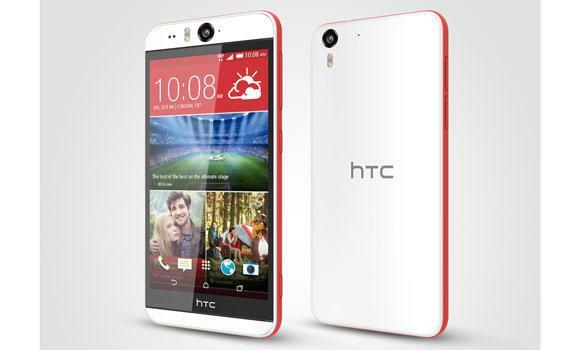 HTC Desire EYE is fully equipped for those who love to take great photos, videos and selfies. NEW YORK: HTC, a global leader in technology innovation and design, says it has heralded a new era of innovation, and an exciting new direction for the business, with the introduction of a suite of breakthrough imaging products. Changing the face of mobile photography, HTC has launched RE, a remarkable little camera, the HTC Desire Eye, a brand new category-shifting phone, the HTC EYE Experience, enhanced imaging software, and Zoe, a collaborative video editing community. “HTC is once again changing the way that people think about technology,” said Peter Chou, CEO, HTC Corporation. 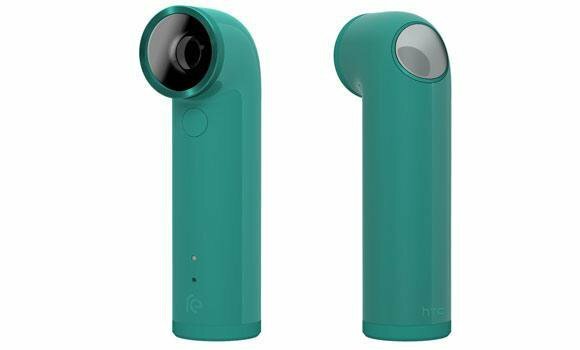 RE, a remarkable little camera, applies HTC’s innovative touch and stunning design philosophy to break into a completely new product category and reinvent photography to suit current and future trends. “HTC has been setting the standard for smartphones for years — today we’re focused on redefining the concept of imaging forever,” said Peter Chou, CEO, HTC. “As a company we don’t stand still and our devotion to innovation has seen us take smart photography in a completely new direction for our business and our customers. Once people get an RE in their hands, they won’t want to put it down. This is everybody’s opportunity to get out from behind the lens and start living in the moment again,” said the CEO. With a stunning yet minimalist cylindrical design, RE is made to be held, and fits naturally and comfortably in the palm of a user’s hand. Users need not worry about missing a moment fumbling between modes, as RE’s built-in grip sensor instantly activates the camera as it’s picked up, eliminating the need for a power button. Its large, tactile shutter button captures photos with a single tap and videos with a longer press, making it fun and super-easy to capture high-quality, creative imagery or video. Featuring a high-resolution, 16MP CMOS sensor, Full HD (1080p) video recording, 146 degree wide-angle lens and slow-motion and time lapse recording, RE will capture moments like users have never seen before. The RE app features a remote live viewfinder that lets users set up the perfect shot and watch the live action on the mobile device’s screen, or switch to album and playback view to flick through the shots and videos already stored on the camera. RE also allows users to explore their creative side with simple slow-motion and time-lapse recording options. Users don’t need to be a professionals to use RE — all they need is their imagination. With a stunning and special cylindrical design, made to fit comfortably in user’s hand, RE features a built-in grip sensor that instantly activates the camera on pick up, eliminating the need for a power button. Its single shutter button allows one tap to capture photos and a longer press for video recording, so users won’t miss the moment fumbling between modes. Available on Android and iOS, there is no need to edit or sync to a PC, as the RE app backs up those precious memories to the phone or the cloud, working in harmony with the Zoe app to instantly create shareable video highlight reels that look professionally edited. In addition, in the future, RE will offer real-time video streaming to YouTube, allowing users to live in the moment and share it live via your YouTube channel. The RE app will be available on both Android and iOS. RE interacts with the smartphone through the RE application, which syncs photos, videos and time-lapse recordings seamlessly over WiFi — meaning that users can relive and share your experiences at the touch of a button. Making it even easier, users can also control the whole device remotely through the app and transform the smartphone into a remote viewfinder. RE is a new kind of camera — one that opens up a whole world of creative possibilities — and one that will evolve over time. Adding another layer of flexibility and potential, an open API/SDK will also enable HTC’s partners to bring innovative new experiences to the device and to social platforms like Tencent and Instagram. Taking video chat and conference calls to a new level of quality and performance, The HTC EYE Experience’s face tracking keeps you perfectly framed at all times. And because staying in touch means more than just talking to a single person, up to four people in the same room can also be tracked comfortably, with each face cropped and positioned on the screen for maximum clarity. So users can enjoy the freedom and flexibility of services like Skype without worrying about exactly where you or your friends are standing, as the camera will follow everyone. Want to share even more on the move? The option of screen sharing brings desktop functionality to smartphone-based video chat for the first time. The HTC EYE Experience opens up a new world of creative opportunity, thanks to the new Split Capture function. Combining simultaneous photos and videos taken on the front and back cameras into one split-screen image or video, this creates a new selfie experience, allowing you document your journey and your reaction without relying on thumbnail views. Crop-Me-In places users at the heart of the action by cropping the user from the image or video taken with the front-facing camera and positioning it within the scene captured by the main camera, opening the door to more extreme, exciting selfies and videos. Voice Selfie removes the need for awkward hand contortions by enabling the user to trigger the shutter release with a simple command. Integrating fully with RE, Zoe video highlights are automatically generated and ready to share. There is no need to edit, no need to sync to a PC, just simply upload them with a single touch. Available free of charge on Android now and coming on iOS later this year, Zoe 1.0 ushers in the next generation of creative social networking.